Crypto-traders have started to prepare their 2018 tax documentation for filing, which includes reporting Capital Gains or Losses. Luckily, calculating and filing your crypto-taxes with TurboTax has never been easier. The 2018 tax season is upon us, and for many Americans that means it’s time to start gathering their W-2s, receipts, and other tax documents, in preparation for filing. It also means that it’s time to renew the yearly subscription to their favorite tax filing software. In the US, TurboTax is by far the most popular choice — touting themselves as being the #1 best-selling tax software, as well as being up to date on the latest tax laws. For crypto-traders who use TurboTax, there have been challenges with reporting capital gains and losses. The process of compiling transaction data (from every exchange transacted upon within the tax year), then manually calculating tax implications for potentially dozens/hundreds of lines, then reporting all of the figures accurately in TurboTax is difficult to achieve without guidance. 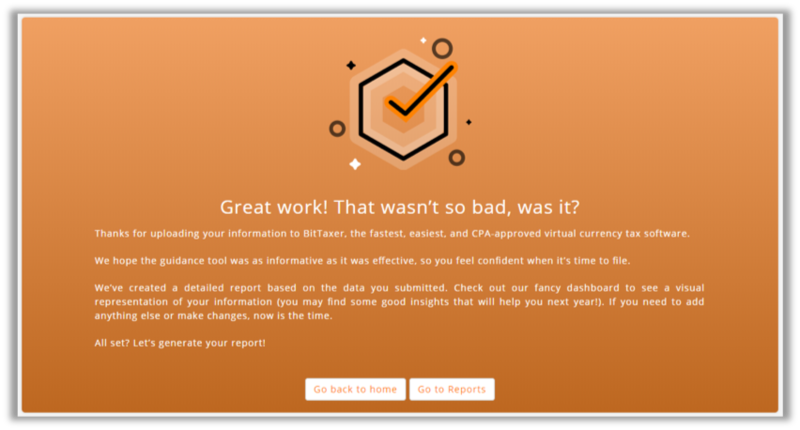 To the appreciation of crypto-traders everywhere, cryptocurrency tax software like BitTaxer provides proper guidance in making the reporting of capital gains or losses quick and easy. Once an account is created, users are guided through the BitTaxer Guidance System, a quick step-by-step process to get transactions uploaded into the system right away. 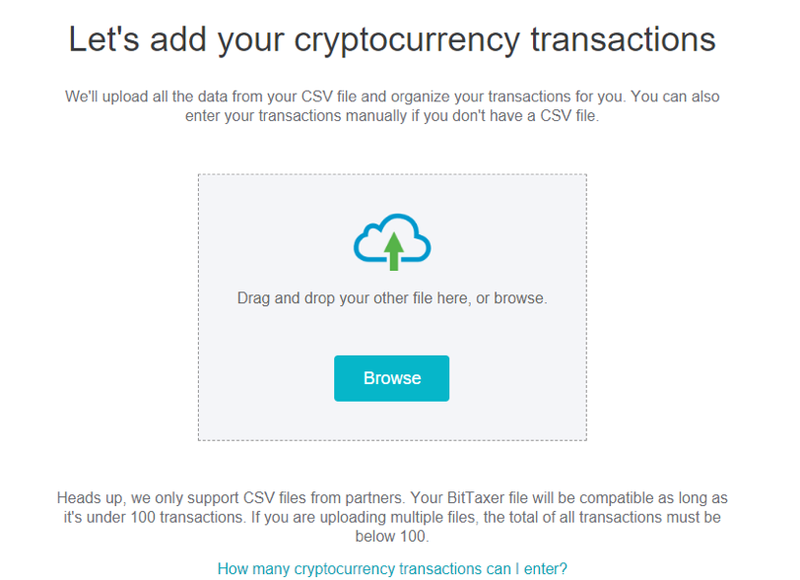 There are three methods to choose from when using the BitTaxer Guidance System: Data can be uploaded or imported directly from most major exchanges using the ‘Exchange Import’ option, the ‘BitTaxer Template’ option can be used to upload records kept by hand via a custom CSV template, or users can manually enter transactions line by line. 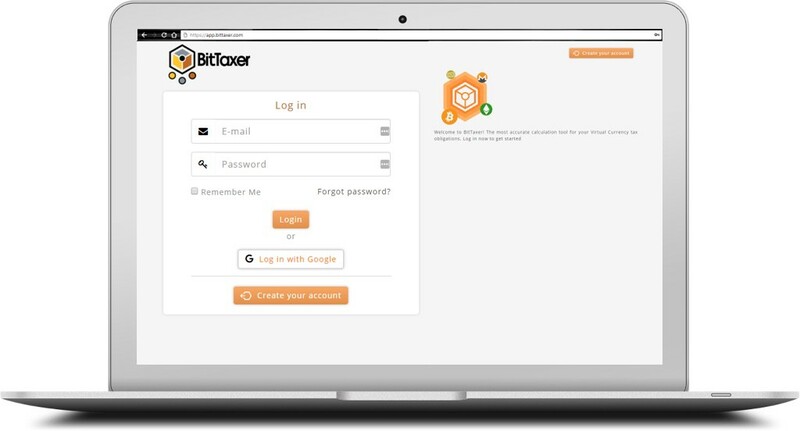 Once all transactions are imported, BitTaxer takes you through their classification process, giving the opportunity for users to more accurately define sends and receive transfers. Checking boxes next to the transaction on the left, then selecting a classification type on the right, will remove transactions from each section. When all transactions have been uploaded, and the lines classified, BitTaxer is ready to create the reports needed to file. Uploaded data can be reviewed in the charts and tables found on the Dashboard, and the Reports tab houses all options for transaction data output. It is important to mention — If users have a free account, reporting data will be redacted until they upgrade to the flat-rate paid tier that provides unlimited transaction reporting (there is an upgrade button easily seen on the Dashboard and Reports page of free accounts). 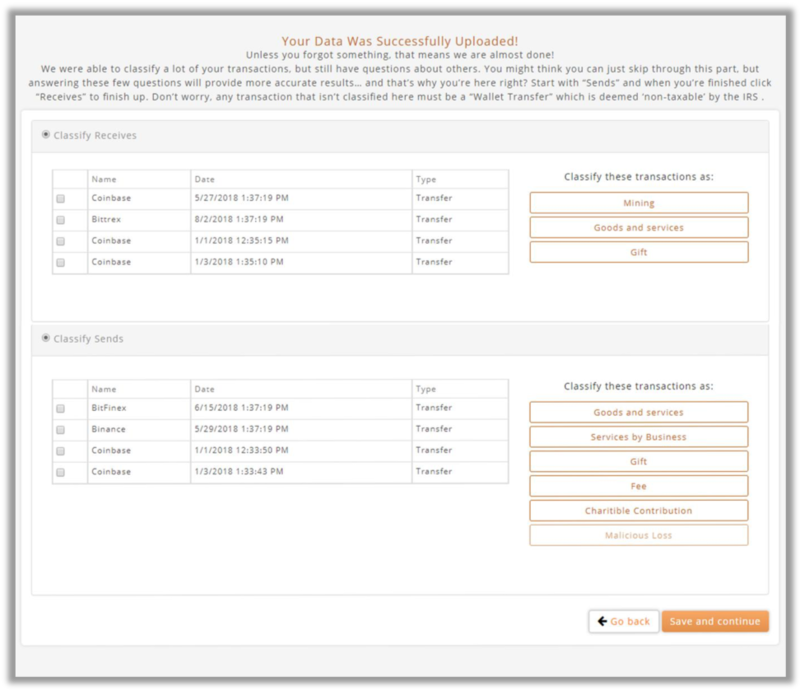 Uploaded data for any user is available to review at any time, at no cost. 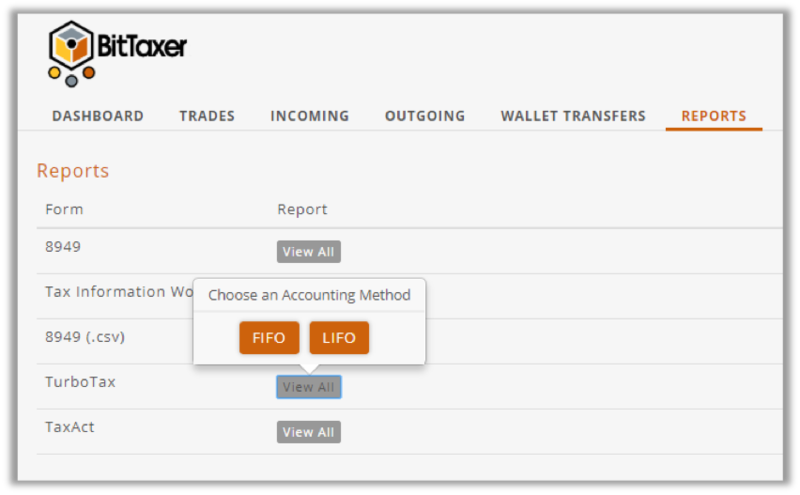 From the Reports page, clicking the TurboTax ‘View All’ button, then selecting an accounting method (learn more about LIFO and FIFO here), will create a .txf file that can be downloaded locally. f) Follow the prompts from TurboTax to import .txf files (IMPORTANT NOTE: .txf files can ONLY be uploaded from the downloadable TurboTax applications; Online TurboTax applications will accept CSV files only). b) Follow the on-screen instructions. 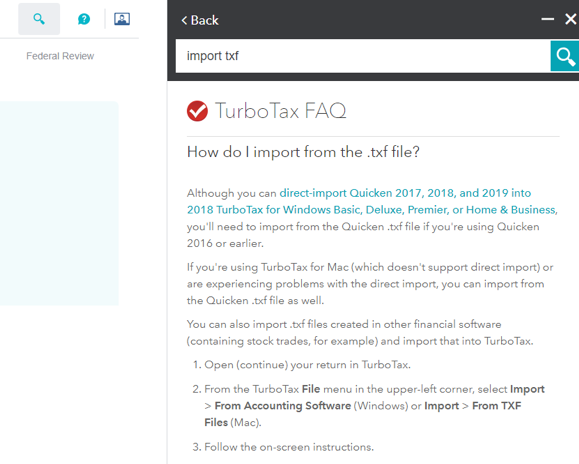 Searching ‘import txf’ in the TurboTax search provides lots of helpful information regarding .txf file importing, as well as other areas of the software. Are you ready to use the cryptocurrency tax software that is easy, magically fast, CPA approved, AND compatible with TurboTax?